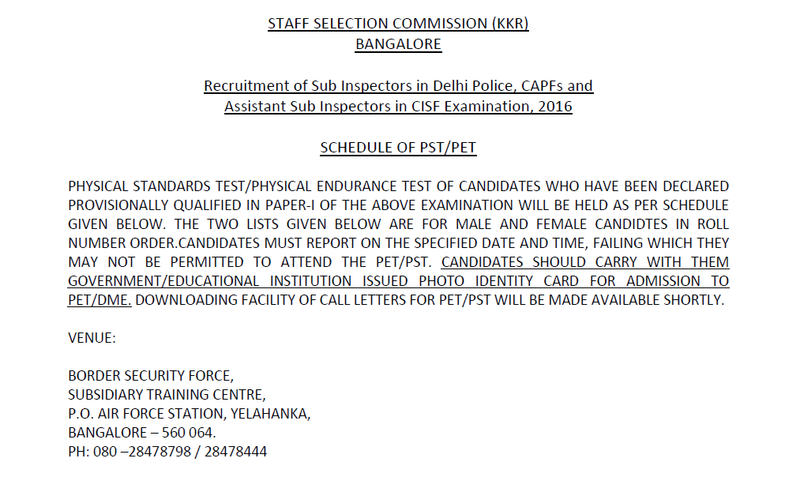 SSC(KKR) Bangalore has released the List of candidates having Physical Endurance Test for the Recruitment of Sub Inspectors in Delhi Police, CAPFs and Assistant Sub Inspectors in CISF Examination, 2016. 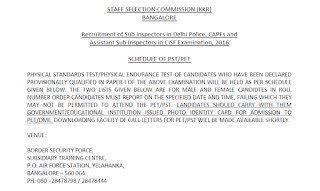 Candidates should carry with them GOVERNMENT/EDUCATIONAL INSTITUTION ISSUED PHOTO IDENTITY CARD FOR ADMISSION TO PET/DME. Downloading Facility will be made available shortly.